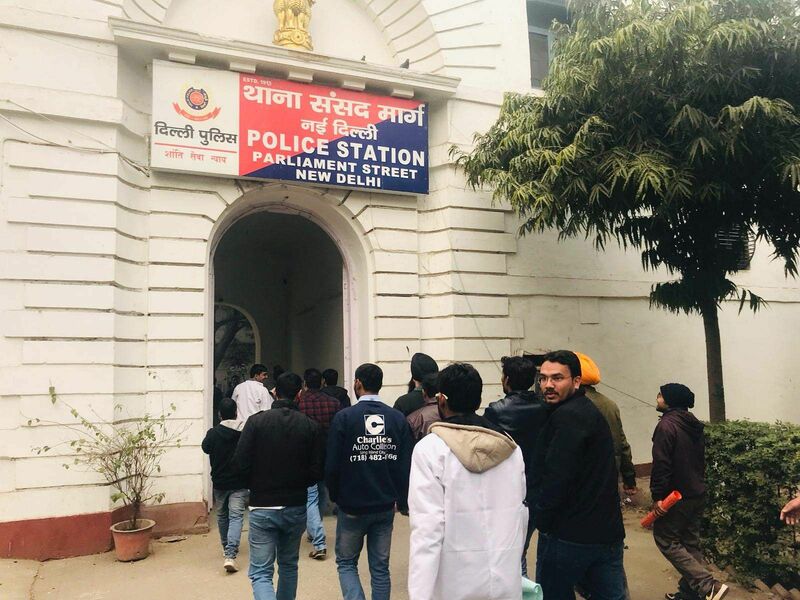 More than 2,000 research scholars protesting outside the Ministry of Human Resource Development's headquarters in New Delhi were arrested by the police around 4 pm on January 16. Research scholars across India who had been asking for a hike in their stipends for the past six months had come down to the streets to protest against the government's inaction on the issue. The All India Research Scholars Association (AIRSA) and research fellows from all over India started protesting in front of the MHRD's headquarters in New Delhi from 11 am on January 16, 2019. They plan to shift base to Jantar Mantar where around 2,000 researchers will be on an indefinite hunger strike till their demands are met. Nikhil Gupta, National Representative of Research Scholars of India, said, "We were peacefully protesting in front of the MHRD head office when the police arrested us around 4 pm. We were packed into five buses and taken to different police stations including Mandir Marg Police Station and the Parliament Street Police Station." Despite promises of a speedy solution by principal scientific advisor K Vijay Raghavan, Department of Science and Technology Secretary, Ashutosh Sharma, Dr Harsh Vardhan (Union Minister DST) and Prakash Javadekar (Union Minister MHRD) and Prime Minister Narendra Modi's slogan Jai Anusandhan in support of science and Indian researchers, there has been no response to the demands the researchers had made. The researchers had planned to protest in front of the MHRD office first and then move to Jantar Mantar — the indefinite hunger strike was an integral part of it. "There have been too many fake promises made to us. No more tweets and no more trying to divide us on the basis of caste, funding agencies or examinations. We have written way too many letters to the departments. We will be releasing an official memorandum during the protest at the headquarters," said Nikhil. 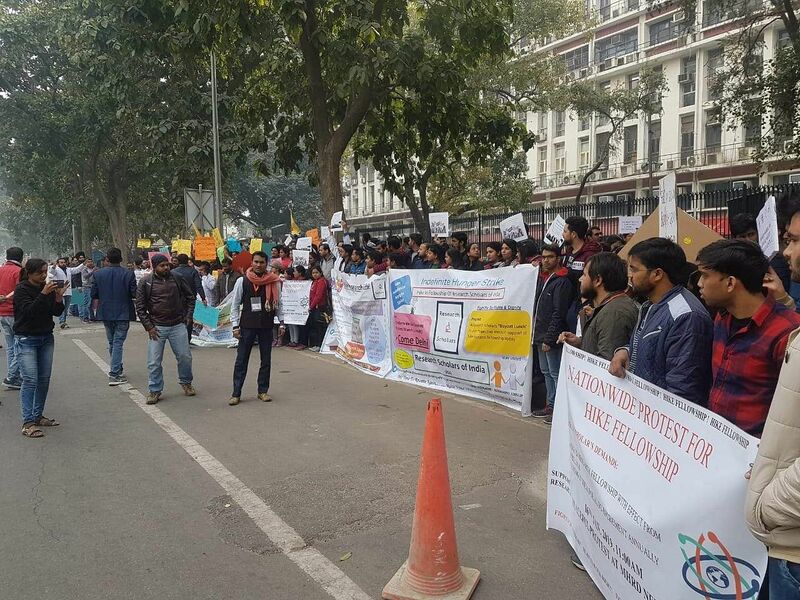 The research fellows from all over the country are joining hands in the protest. "We are yet to know scholars how many institutes will be physically present here. But we are all together and people from all over the country are in support of your cause," Nikhil added. 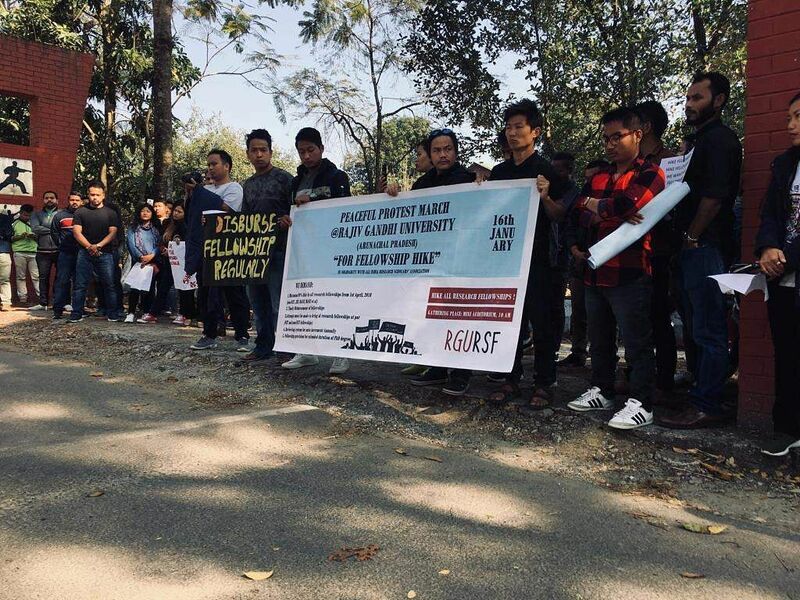 The Rajiv Gandhi University Research Scholars’ Forum (RGURSF) in Itanagar, Arunachal Pradesh, also organised a rally to support the demands of increasing the scholarships. "The rally went all around the campus and then we all assembled at the main gate to protest in solidarity with the research scholars who are protesting for the same causes (hike in scholarship) in New Delhi," said Margum Ado, Chairman, RGURSF. Prime Minister Narendra Modi, while inaugurating the 106th Indian Science Congress at Jalandhar on January 3, said, "Our strong research ecosystem must be developed in such universities and colleges. I call upon the Prime Ministerial Science, Technology and Education Council to discuss this issue in detail and formulate an agenda in collaboration with the MHRD." "We were told that our issues will be considered and hopefully solved by December 2018. We are working relentlessly in the fields of agriculture, defence, medical sciences, engineering, etc so that our country can develop faster. I don't get why the government is ignoring us," said Nikhil, who is also a scholar at CBMR SGPGI Lucknow. He also added that India's greatness lies in connecting the scientific advancements to the society and its needs, "Lal Bahadur Shastri said Jai Jawan Jai Kisan and Vajpayee added Jai Vigyan to it at Pokhran. I believe it is now time to take one more step forward and add Jai Anusandhan to it." Researchers find these remarks endearing, but ineffective at this point. The scholars demand an 80 per cent hike in their fellowship applicable from April 1, 2018. "I trust the PM. But the question when will these issues be resolved? 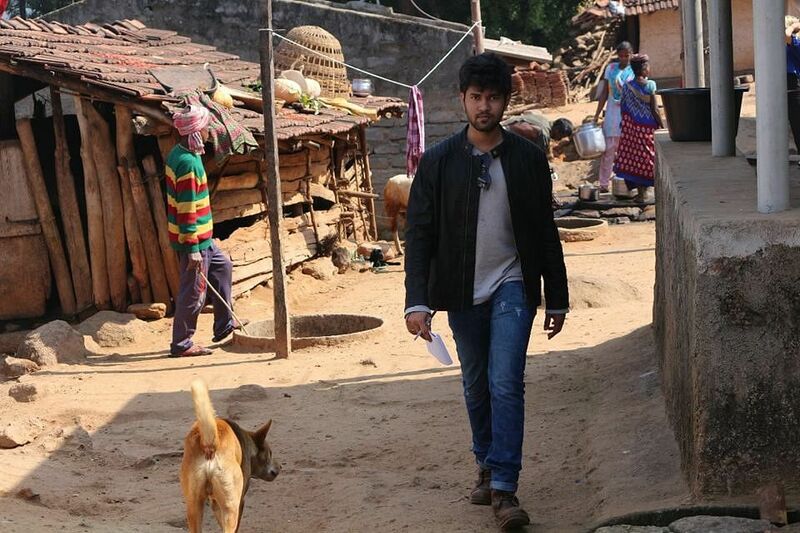 No one has mentioned a date yet," added Nikhil.